Rezekne had 36,345 inhabitants in 2006. 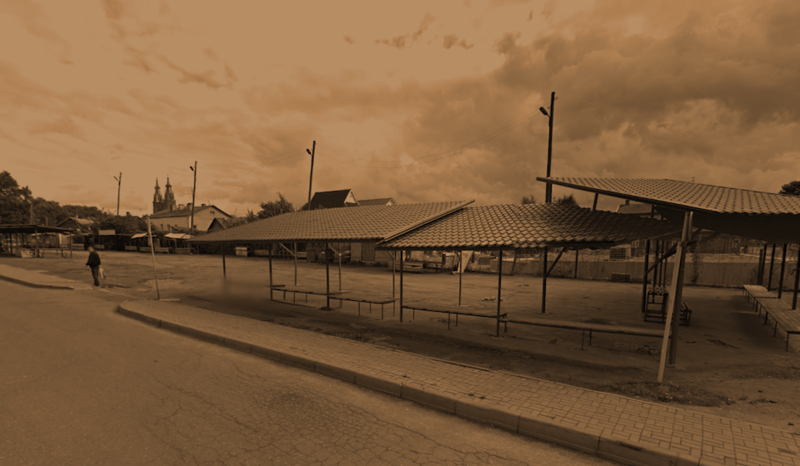 Since then, in Rezekne, as in all of Latvia, there has been a decrease in the population mainly due to economic reasons. It is the seventh largest city in Latvia.It is governed by the City Council. There is a Milk Processing Company there as well as engineering and woodworking industrial plants. The city is a significant railway and road transport junction. It is the gate between the East and the West. Today Rezekne is the Latgale centre of culture, medicine (the local hospital) and education (including university education) and sports. It is multinational city that has welcomed different nationalities, so quite a few languages are spoken. Rezekne is the city that has the charm of antiquity and also shows modern progress. Interesting places for tourists are castle hill, Latgale Culture History Museum, the various churches and the Rezekne Culture and Recreation Park where one can hear many birds. The symbol of Rezekne, which is considered to be one of the greatest monumental sculpture examples in Latvia, is the Latgale deliverance monument “United for Latvia” that the people call Latgale’s Māra. 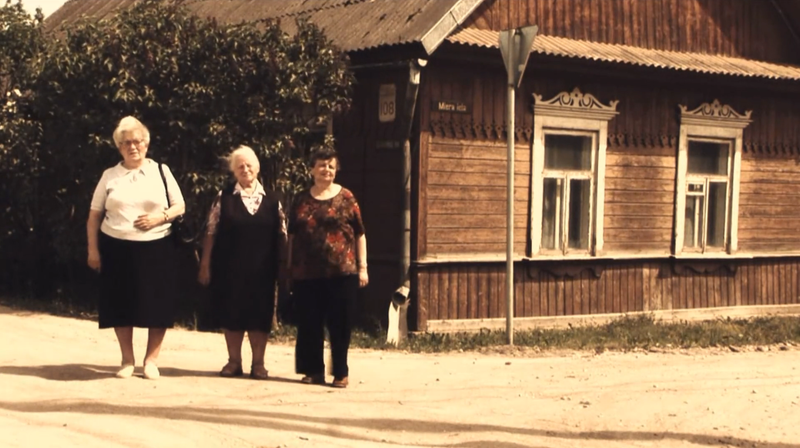 The video "Rezekne Hits - JEWISH STREET" was made in 2006. 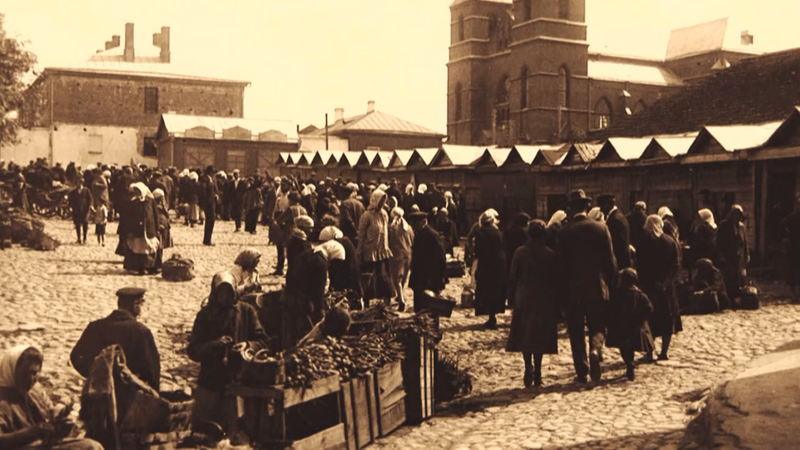 The handful of Jews who live in Rezekne today are the people appearing the video. in front of old building. This one looks quite large. 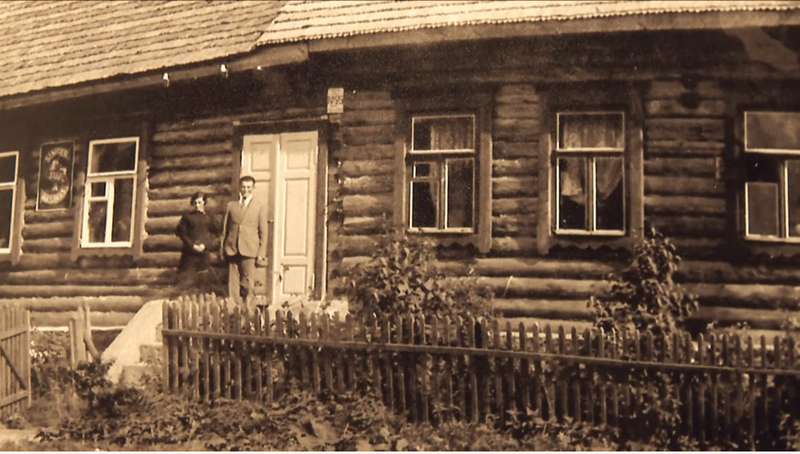 Wood is Pleantiful in Rezekne and Jewish Families for the most partlived in wooden homes. Walking in front of house on Mara Street. Family Today with Green Synagogue Behind See the top banner of this page. To see the location visit the Maps Page.